My sweet tooth was acting up the other night. It was well after dinner and I didn’t want to make anything too labour intensive. I was thumbing through my various recipe books deciding on what cookies I was going to bake when the Boyfriend casually mentioned that cupcakes would be delicious. I started thinking big. I started thinking caramel cupcakes, chocolate fudge cupcakes, or a lemonade cupcake . . . but the Boyfriend was thinking simple. He was thinking vanilla cupcakes and you can’t really argue with simple at 9:00 at night on a Tuesday. 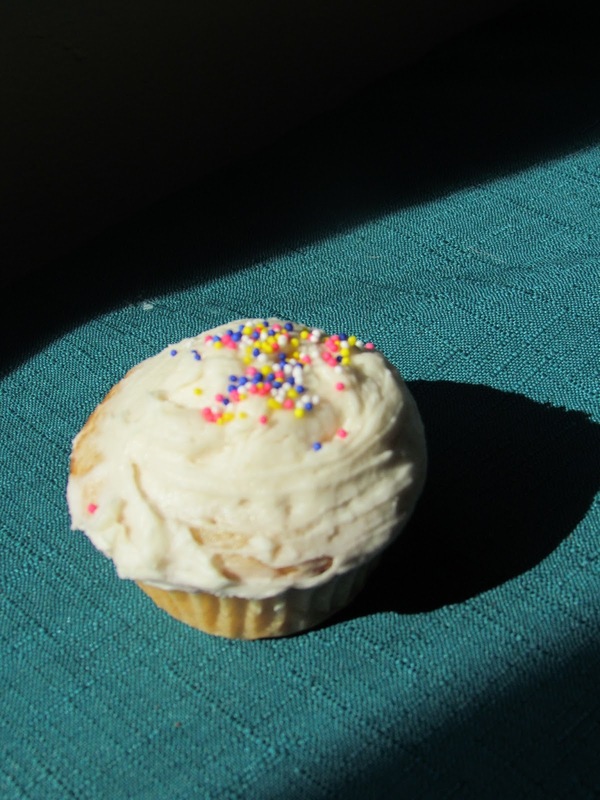 So I agreed to make a plain batch of vanilla cupcakes. They do look awfully appetizing fresh out of the oven, all golden and fluffy! And I do love the simplicity of a recipe that calls for just the basics. Sometimes it is good to get back to basics in our over complicated world! 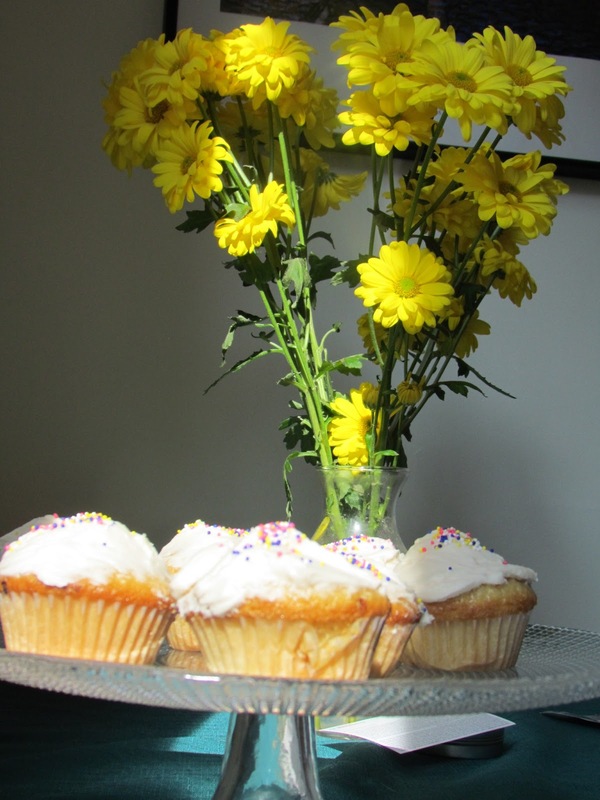 A bouquet of simple yellow flowers, that’s basic but it’s beautiful. 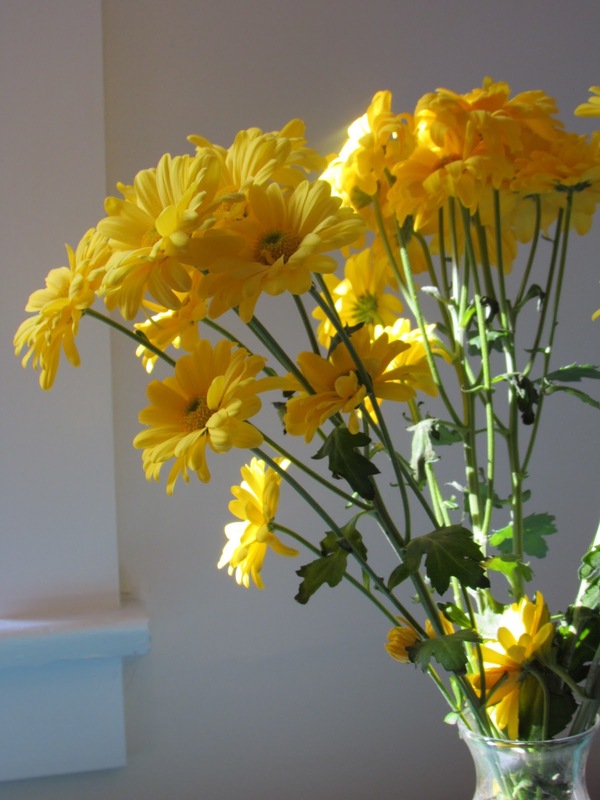 Doesn’t take much more then a vase full of flowers and a bit of sunshine to make your day better. I always think better, work better and feel better when my surroundings are beautiful and sunlight and flowers work wonders in that regard. I didn’t take time with these cupcakes to fill a frosting bag and pipe the frosting on all pretty, I just took my favourite silicone spatula and painted the frosting on haphazardly. Threw some sprinkles on top and voila, delicious in about an hour! Add the wet to dry and incorporate, do not overmix! 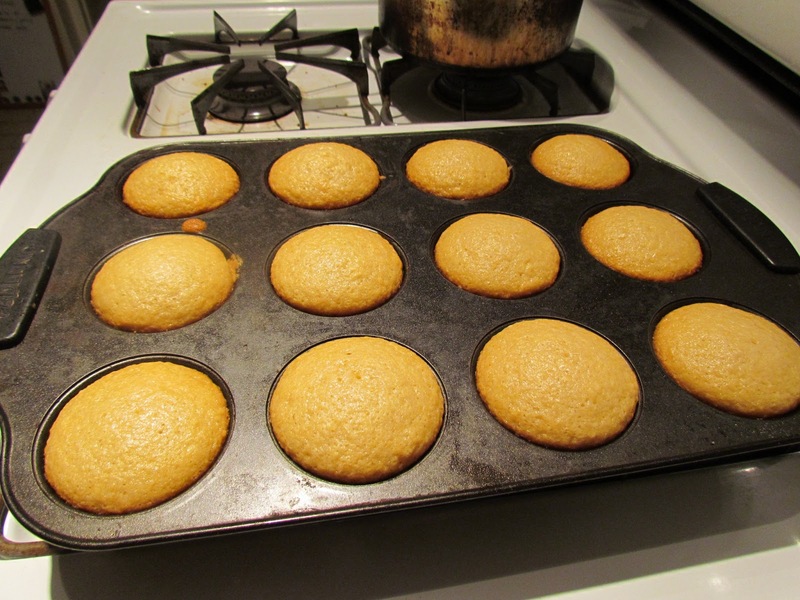 Bake in pre-heated oven for 18min or until a toothpick inserted in the centre of the cupcakes comes out clean.